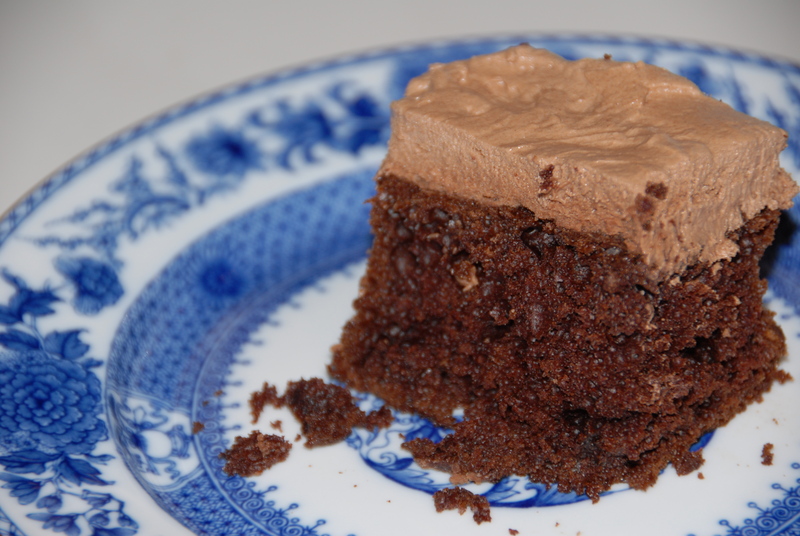 … with chocolate buttercream icing. I am totally blaming my counterpart, Hillary, for bringing sourdough into my life just after the butter heavy holiday season. Just what I needed – an excuse to eat more bread. Actually, to be fair, I was super excited when Hillary told me that a package was to be arriving Thursday, sent with love from the King Arthur Flour Company. What was in it you ask? Sourdough starter. 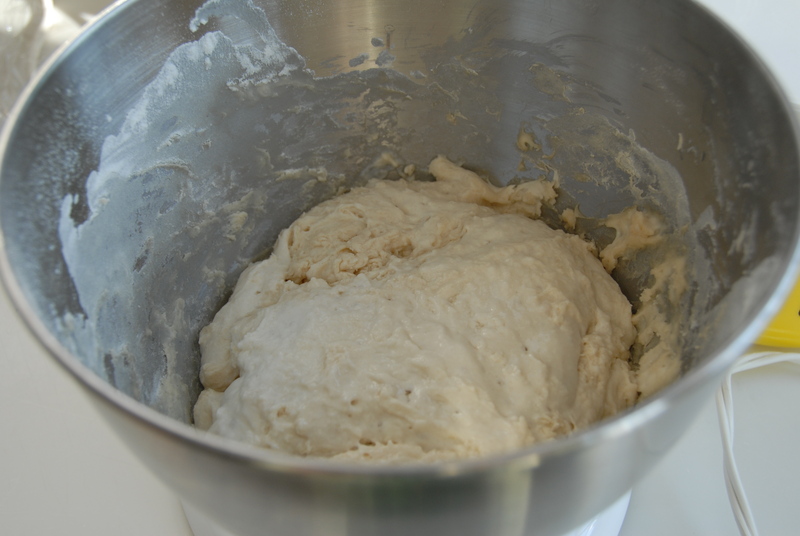 If you’re anything like me you’re now thinking – what the heck is sourdough starter? Scratching your head you can recall sourdough –the soft, tangy delicious bread, but starter? First combine the “fed” starter, milk, and flour in a large mixing bowl. Cover and let rest at room temperature for 2 to 3 hours. It will expand a bit and possibly bubble. Towards the end of the waiting period preheat the oven to 350°F and lightly grease a 9″ x 13″ pan. 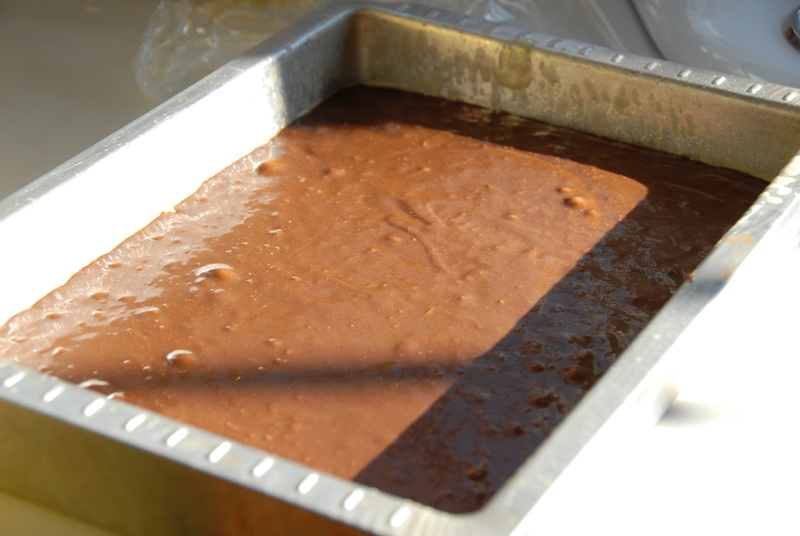 In a separate bowl, beat together the sugar, oil, vanilla, salt, baking soda, cocoa and espresso powder. It will be a grainy texture. Add the eggs one at a time, beating well after each addition. 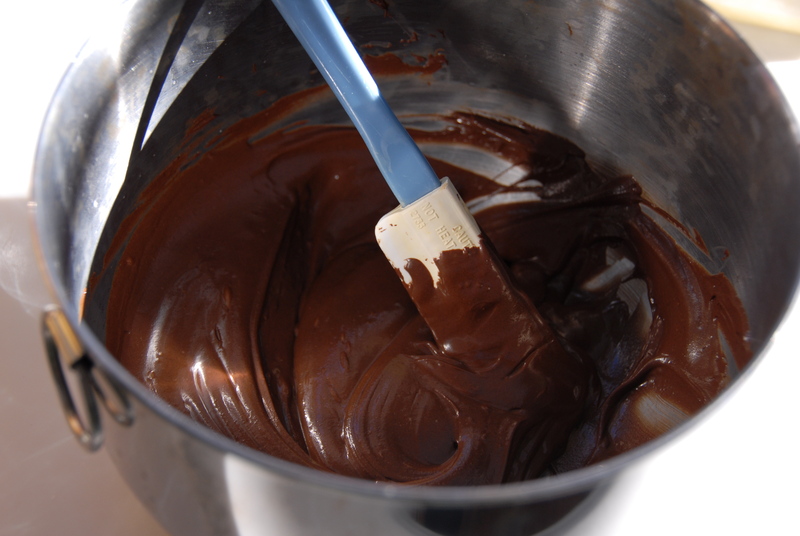 Slowly combine the chocolate mixture with the starter-flour-milk mixture, stirring till smooth. Thank goodness for stand mixers because I really don’t know if regular beaters can handle this gloppy process. 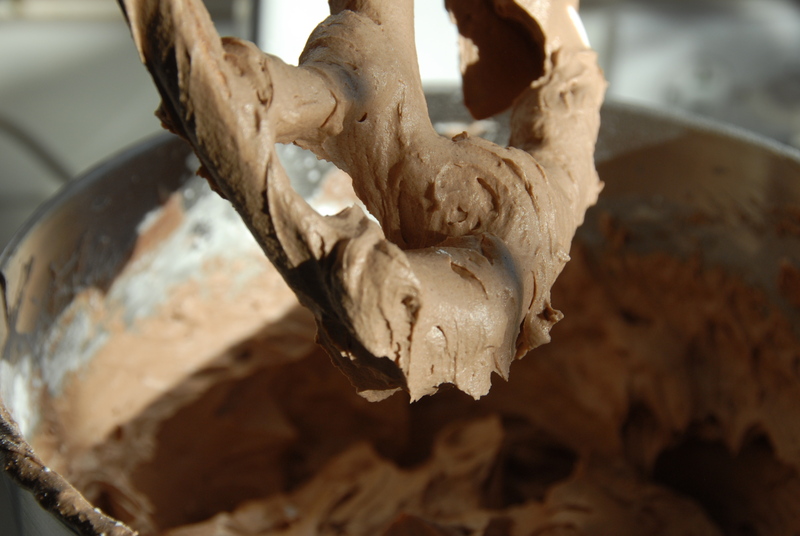 Continue to beat gently and the batter will become smooth. Pour the batter into the pan. Bake the cake for 30 to 40 minutes, using the old toothpick trick – insert a toothpick into the center and if it comes out clean the cake is done! Now let that cake cool while you make the icing. 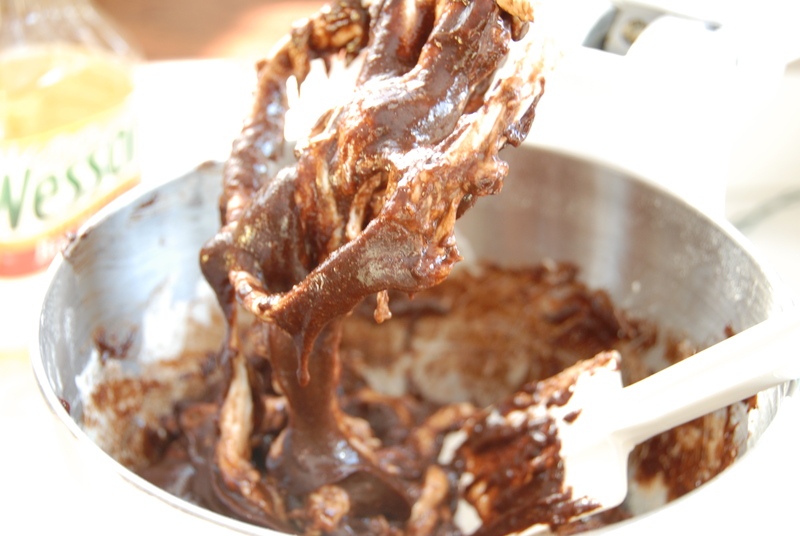 Start by melting the chocolate in a double boiler over simmering water on low heat. This takes about 5 minutes or so. Set aside and let it cool a bit. 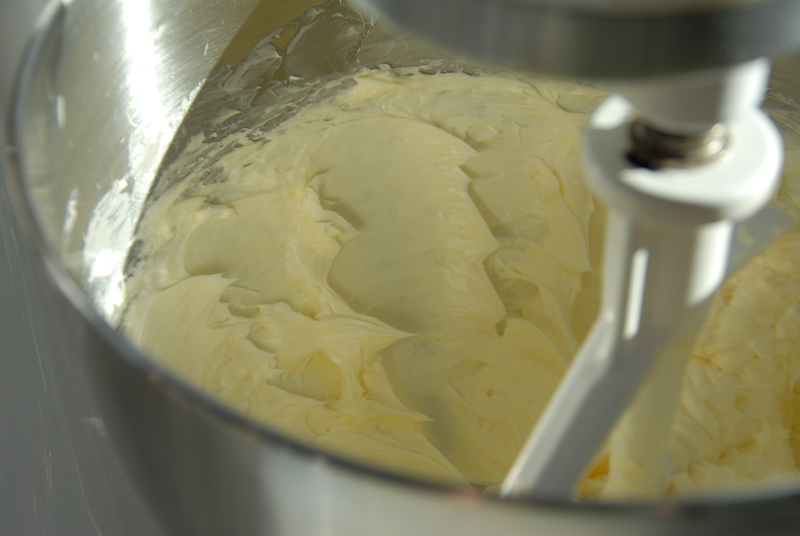 In a large mixing bowl beat the room temperature butter on medium speed for about 3 minutes or until it’s light and creamy. Add the milk and carefully beat until smooth. 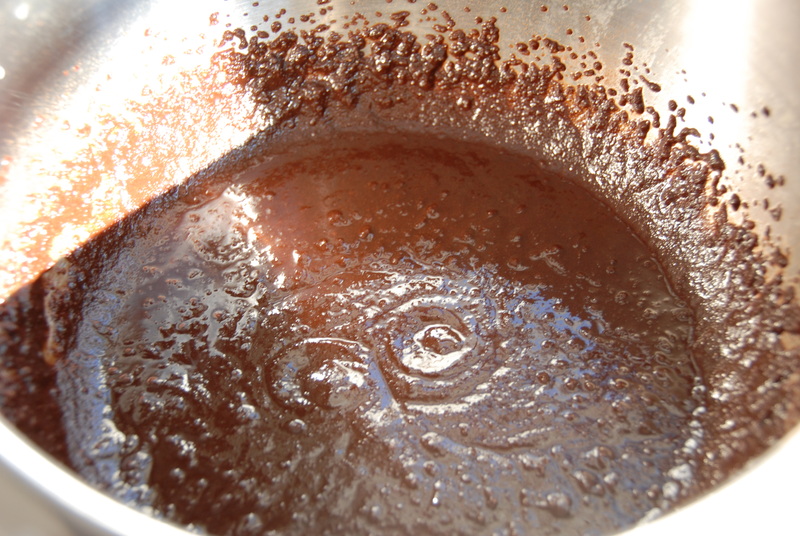 Next add the chocolate and beat well for 2 minutes. Next the vanilla – add and beat for 3 minutes. Gradually add in the sugar and beat on low speed until creamy, light and fluffy. Once the cake is cool enough, frost and enjoy. It’s positively sinful. Assuming you have some extra starter to use (and you really should get some STAT) you’re definitely going to want to make this cake. And if your excuse for not making it is because you’re trying to be healthy then do what I did – have a sliver then ship the rest off to a friend – that way it’s out of your house and bonus – you’ll get brownie points for baking something for them. It’s truly a win-win. This entry was posted in Butter, Sourdough and tagged buttercream, Buttercup, chocolate cake, flour, King Arthur, sourdough, sourdough starter. Bookmark the permalink.